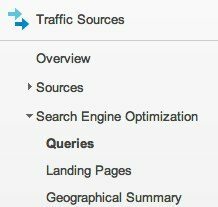 The good news is — Google’s added a TON of new features to Google Analytics. The bad news? You gotta learn how to use ‘em if you want to stay at the top of your game. But that’s alright. It’s not difficult. I promise. It’s more a matter of just being aware that these tools even exist. Once you have visibility on what these tools do and how they can benefit you and your company, you’ll quickly be able to decide whether you want to implement them into your regular measurement & reporting activities. Ok. I’ll admit it. For most of us, this one just comes under the ‘cool’ category. I’m a sales junky. Nothing gets me more excited than being part of a new campaign launch whether it’s email, local search marketing, national SEO, Google Adwords….what have you. 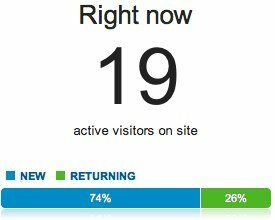 With Real Time Data you get a live picture of the activity on your website. you can see what content is getting pulled, where they’re coming from and what keywords they used to get there. It’s really a much better alternative than hitting ‘refresh’ on the Analytics Dashboard page every two minutes to see if you’ve got any bites on that new landing page. If you’ve got a fairly active site or are launching a new email marketing campaign which you expect will drive visitors to the site, try pulling up this tool and watching the activity. It’s fun and a little addictive. And you may learn a thing or two about how people are engaging with your website along the way. What data is important to YOU? 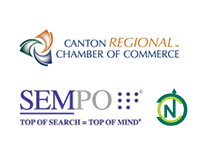 If you’re an Ohio based business serving the Akron or Canton market, you don’t care if someone from New York or California is visiting your site. You need to be looking at data that will help you reach your current and future customers. Further, if you’re looking to keep an eye on the keywords people are using to find your site organically you don’t want to have to take 3-5 clicks each time to get there. Google makes it very easy to tailor these dashboards so your most important metrics are presented right on the home page. If you have a favorite report that you find you’re pulling up time and time again, take a second and look for the ‘Add to Dashboard’ button in the top section of the report you’re viewing. While it doesn’t offer the full suite of tools available through Webmaster Tools, it does give you a window into that world so that you will remember to monitor and manage how your site shows up in the search engines. This is where we finally get to hold social media experts accountable. Here’s the problem, on our site (and others) you’ll see us recommending that you create truly great content that people will link to. But given that Twitter & Facebook and LinkedIn have ‘no follow’ links for anything shared there, you’ll note that content shared through these social media sites have no SEO value. (Gasp!) Well, unless your content has been shared via Google Plus…but another topic for another time. With the Social Engagement metrics you can see which social media channels are driving traffic to which pages. This is a real, tangible way to measure social media engagement and whether all your social media activities are driving traffic and conversions through your site. Heck, you may not even be trying to engage people on Facebook. But if you looked at these reports and learned that 10,15, 20% of your visitors are coming from content shared through Facebook….you might re-think your strategy there ehh? Well, this one’s just a no-brainer. If you’re paying for people to click on a link to go to your site, you better be integrating that data into your overall assessment of site activity. With a few tweaks and tie-ins you can link your Google Adwords account to your Google Analytics account and follow the traffic patterns through all the way to a final sale. Linking these accounts gives you a better overall picture of how PAID users are engaging with your website. A basic but often forgotten metric is Site Speed. Beyond anecdotal claims that ‘our site is slow’, this tool allows you to assess the true load time of your site down to the individual landing pages. If you’re seeing times greater than the 2 second maximum load time as Google recommends, it’s time to take action. Keeping page load times to a minimum will improve your users experience and, according to many in the industry, improve search rankings as Google considers page load time when it is assessing a page’s quality. Should your site come with unacceptable load times you might also look at Google’s Page Speed Tool. The ‘Goals’ tool is NOT new. It’s been around for years. But I wouldn’t be doing my job if I didn’t take this opportunity to remind readers about this very important tool to track conversions. There are a number of different types of Goals you can set up for your site. The most common would be a URL based goal where someone loads a confirmation page after signing up for a newsletter or making a purchase on your site. 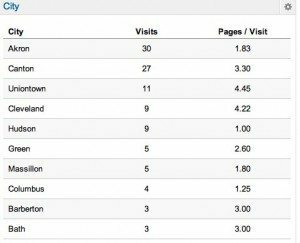 But Goals can also be based on a Visit Duration (time on the site), Pages / Visit, or and Event (which is a customizable set of conditions). Search Engine Optimization is not about increasing the volume of visitors to your site. It’s about growing your business. It’s about getting those users to perform some ACTION on your site and engage with your organization in some predetermined way. In a perfect world, all Goals would be monetary (as with the Ecommerce Tool we discuss below), but for many businesses, a site visit is just the begining of the sales process. So Goals allows you to identify when those requirements have been met so that you can measure whether or not your website is serving its role in the sales funnel. Not to mention, in order to take full advantage of many of the other great features mentioned here, you’ll want to have Goals up and running for your stie. If you’re involved in any form of e-commerce, you’re going to want to go the extra mile and make sure you enable E-commerce Tracking through Google Analytics. Most of the new e-commerce tools out there allow for easy set up and integration. If you’ve got a legacy system or a homegrown one it may take a little extra work, but its worth it. Google walks you through the process, but you’ll probably want to get a web developer involved to make your life easier. Using E-commerce Tracking you can monitor product sales, purchase amounts, and billing locations and tie those engagements to your online (and offline) marketing activities. If you’re looking to measure end to end productivity of your marketing campaigns, you need to follow the sale all the way through to completion and E-commerce Tracking is the way to do that. The path from ‘first impression’ to a full fledged sale is a circuitous one. Trying to identify which media channels, let alone which combination of media channels, is doing the trick is a daunting task. Is it straight search -> purchase? Or does it take a series of visits and impressions through Google, Social Media, Referrals in varying combinations over an unknown length of time to convert a sale? Google’s Multi-Channel Funnel helps you narrow that down. By tracking the utilization patterns of visitors to your site, Google helps you aggregate that data to study the number of visits, the specific media channel combinations, and the length of time it takes to convert a visitor to a customer. It’s a little big brotherish — but it’s anonymous so it’s not like you can tell which sites a specific customer uses (or what their doing when not on your website). The tool merely helps you understand where customers came from so you can determine which media channels work for you. The big takeaway for all of this? Once ‘basic’ tools are now becoming very sophisticated. Aggressive & savvy marketers looking for an edge on the competition will always be looking for better ways to mine the data so we need to keep our eyes & ears open to new opportunities and continue to explore (exploit) the full power of the tools at our disposal.